Here is a picture of a bear, spotted on my travels. She is a really cute valentine teddy bear. All ready to bring someone some love on Valentine's day. Just look at her lovely matching flowers on her head and paws. Not forgetting the great big valentines love heart she is holding in front of her! 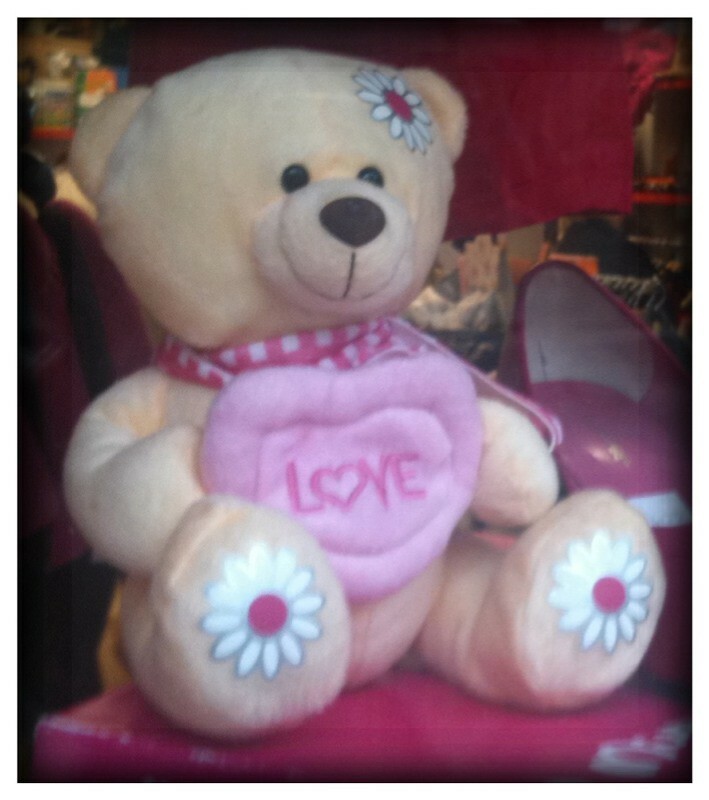 Do you have a special someone to give a valentines day teddy bear gift to? Why not take a peek at our valentines day bear coloring pages and valentines bear clipart selection ? Here are some more bears especially for a valentines day gift. And a smaller bear too! Have you had any black bear sightings in your hometown or in vacation ? Have you spotted a favourite mystery teddy bear ? 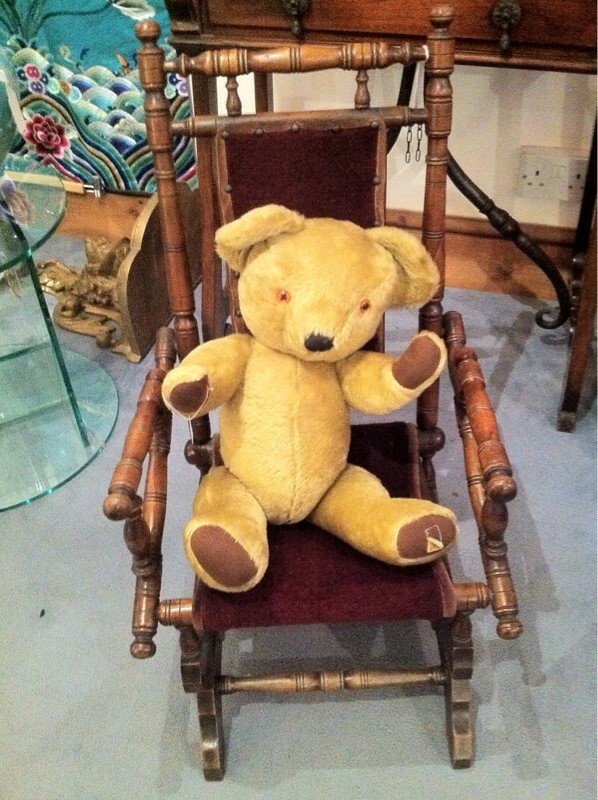 This antique teddy bear was spotted in my local antique shop. He looks like he is in very good condition! He has definitely been looking after himself! He is sitting on a really nice rocking chair, the kind that rocks on itself and not on the floor! We won't get squashed by the chair rockers while we all listen to the old bear stories being told by the big old bear in the chair!!! Do you have a special story telling chair? Perhaps by the fire, for a cosy time with some hot milky chocolate, sweetened with honey, of course! Louise little bear has been doing more bear sighting adventures ... always out and about! 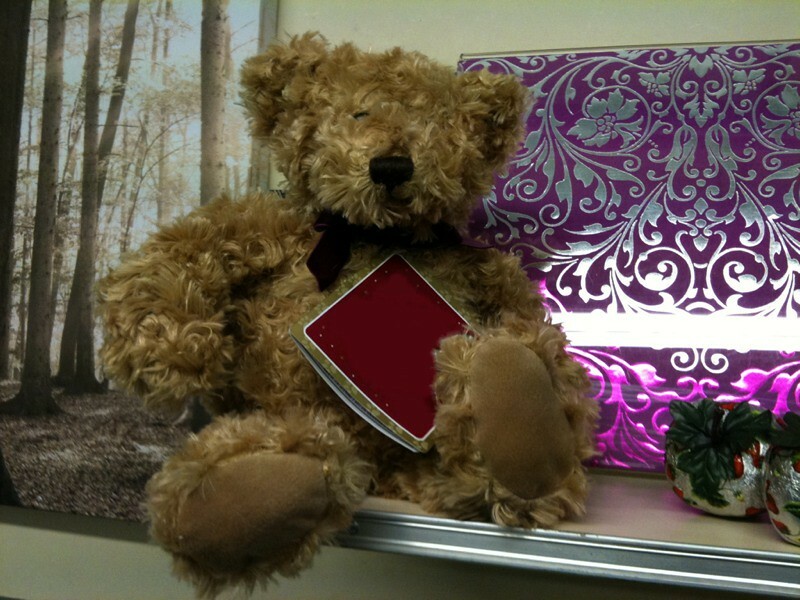 This little bear was spotted near the valentines card collection. and would be back soon! !